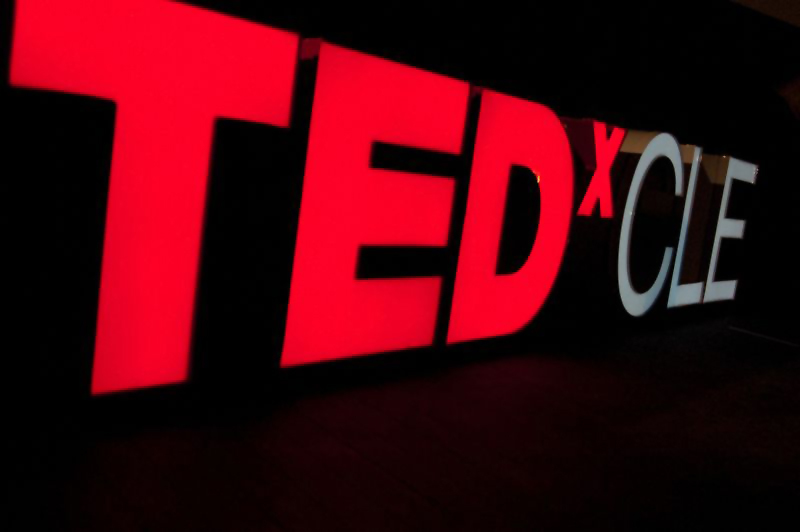 Cleveland’s fifth official TEDx event, TEDxCLE will take place Friday, April 4th, 2014 at the Cleveland Museum of Art, (CMA) beginning at 1 p.m. This year’s event features the theme “IMPORT/EXPORT CLEVELAND.” The idea is that, whether one was born/raised in Cleveland but is not innovating outside of the region or was brought up elsewhere but came to Cleveland to bring their idea to fruition, the city itself has a profound impact on your person and your work. This year TEDxCLE is partnering with host sponsor CMA to broaden the event experience. In addition to the seats available in the Gartner Auditorium, the event will be simulcast to two theaters on-site at the museum, layering on room for an additional 300 attendees. TEDxCLE tickets may be purchased for $43 (Gartner)/$33 (simulcast). All tickets include program viewing, limited edition CLE Clothing event shirt, swag bag and admittance to the MIX at CMA event following. Tickets go on sale at 9 a.m. on Monday, March 3rd, 2014 at TEDxCLE.com/tickets or by calling 1.888.CMA.0033. This year’s after party will be a MIX at CMA event featuring London-born, Brooklyn-bred DJ Rekha. Tickets to MIX at CMA are included with the purchase of a ticket to TEDxCLE, but are also open to the public separately for $8/ticket. TED is a nonprofit organization devoted to Ideas Worth Spreading. Started as a four-day conference in California in 1984, TED has grown to support those world-changing ideas with multiple initiatives. The annual TED Conference invites the world’s leading thinkers and doers to speak for 18 minutes. Their talks are then made available, at TED.com. TED speakers have included Bill Gates, Al Gore, Jane Goodall, Elizabeth Gilbert, Sir Richard Branson, Nandan Nilekani, Philippe Starck, Ngozi Okonjo-Iweala, Isabel Allende, UK Prime Minister Gordon Brown and many others. The annual TED Conference takes place in Long Beach, California. TED’s media initiatives include TED.com, where new TEDTalks are posted daily, and the Open Translation Project, which provides subtitles and interactive transcripts as well as the ability for any TEDTalk to be translated by volunteers worldwide. TED has established the annual TED Prize, where exceptional individuals with a wish to change the world are given the opportunity to put their wishes into action; TEDx, which offers individuals or groups a way to host local, self-organized events around the world, and the TED Fellows program, helping world-changing innovators from around the globe to become part of the TED community and, with its help, amplify the impact of their remarkable projects and activities. Spreading Cleveland Pride One T-Shirt at a Time! Jeff Downie is a versatile and energetic photographer living in Cleveland, OH. He has over 10 years in the industry, working with some of the biggest brands in the US. His focus is on people, fashion and fun. shark&minnow is an innovation and action consultancy that focuses on research and insights, strategic planning, marketing communications and civic engagement. Veterans of brands such as Cadillac, GE Lighting and Progressive Insurance, Eric Kogelschatz and Hallie Bram Kogelschatz founded shark&minnow in 2008. UCI is the development, service, and advocacy organization responsible for the growth of University Circle as a premier urban district and world-class center of innovation in healthcare, education, and arts & culture. At Microsoft the mission and values are to help people and businesses throughout the world realize their full potential. MailChimp makes it easy to design exceptional email campaigns, share them on social networks, integrate with web services you already use, manage subscribers and track your results. You’ll love mixing and matching MailChimp’s templates, features and integrations to suit your needs–think of it as your own personal newsletter publishing. Previous story The TEDxCLE 2014 Launch Party!